(A4O, 11 February 2014) The development of a new master plan for Addis Ababa which also integrates the Oromia special zone is in the final stages. An international conference, which aims to add some inputs to the new international-level master plan, is scheduled to be held at the end of the current budget year. The Addis Ababa and Surrounding Oromia Integrated Development Plan Project Office has drafted the new Addis Ababa master plan that will incorporate the outskirts of the Oromia Regional state with the development of the metropolis. The new draft master plan aims to modernize the city in collaboration with the Oromia Special zone and has been presented to civic society on Tuesday, June 4, to obtain additional feedback from the public. Officials of the project office told Capital that similar panel discussions will be held with different stakeholders to gather fresh ideas to include in the new master plan. “The final event will be the international conference that will take place in the town of Adama (Nazareth) for three days, from 26 to 28 June. At the event, federal government officials, all regional administrations, officials from other African countries, African Union officials, prominent European master plan institutions and other relevant stakeholder will be able to comment, evaluate critique the draft plan,” Fetuma Lemessa, Deputy Manager of Addis Ababa and The Surrounding Oromia Integrated Development Plan Project Office, told Capital. “The draft master plan will be finalised by the end of July 2013 after it includes the new inputs that shall be drawn from the international conference,” he added. According to the plan, in the coming budget year the project office will undertake the accomplishment of the implementation strategy, the second phase of the project that will help realise the new master plan, which is expected to take the whole of the coming budget year. Fetuma said that the actual implementation of the master plan will take place after one year. Twelve studies involving different sectors were used to draft the master plan and took one year. According to the plan, towns on the outskirts of Addis Ababa, those under the Oromia Regional administration, will be included during the implementation of the master plan. The development of highways and roads, parking lots for buildings, the establishment of several market areas throughout the metropolis, the various development of land, a detailed classification of mass and private transportation, the classification of metropolitan areas and the development of an international standard airport, are some of the studies included in the new plan. 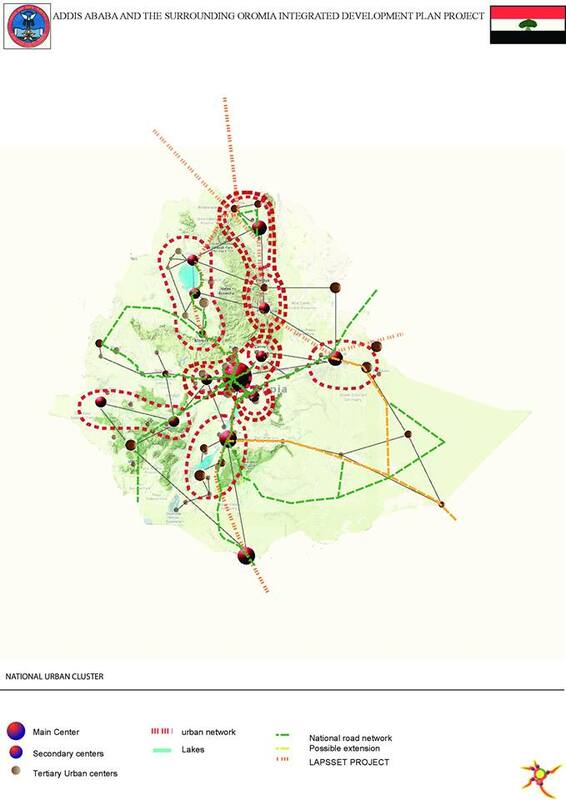 The master plan for the city and the Oromia Special zone covers 1.1 million hectares of land and incorporates 5.7 million people currently, and is a plan for the coming 25 years. Posted on February 10, 2014, in Uncategorized. Bookmark the permalink. Leave a comment.